The cargo aircraft was in its descent to Albany, GA when it disappeared from radar and crashed killing the pilots, its sole occupant. 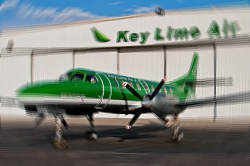 Key Lime air cargo flight KG 308 took off from Panama City, FL airport (ECP, KECP) at 20:54L on a regular cargo flight to Albany, Georgia (ABY, KABY) with only the pilot on board. 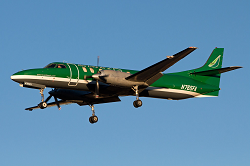 The aircraft flew on a northeasterly heading maintaining its en-route altitude of 7,000 ft and made a normal climb-out to its assigned en-route altitude. Its scheduled time of arrival was 22:37 (Eastern Time, local). When descent was initiated at around 22:15L bad weather was in the area with local thunderstorm activity accompanied by intense rainfall and strong wings. 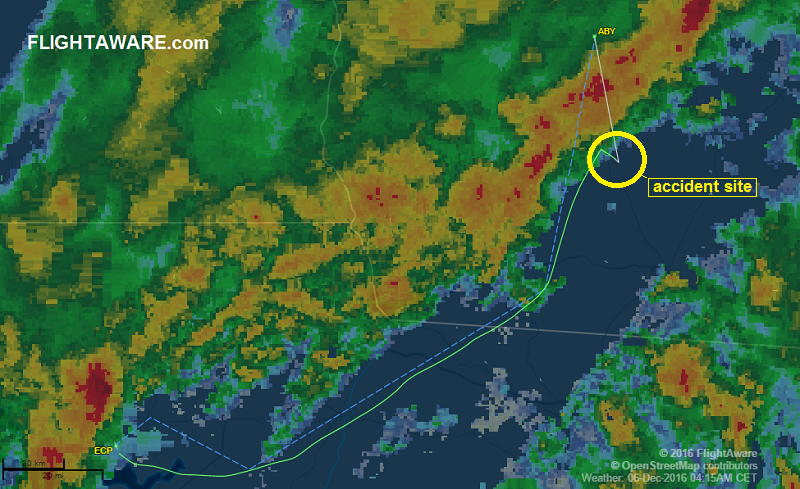 It is unclear weather the flight was exposed to any adverse weather conditions. Abeam the town of Camilla, GA the radar track made a sharp turn to until all tracking data was lost when the Metroliner was flying near 3,600 ft indicating a speed of 262 knots. It is understood the aircraft went down in an open field near Mt. Zion Road about 3 NM east of Camilla, GA close to a private home but outside any urban area. The pilot did not survive the accident. The wreckage caught fire and burned completely. 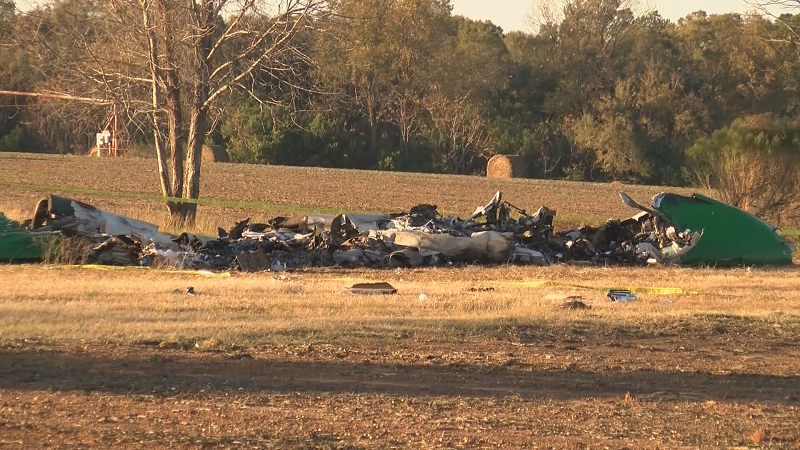 The NTSB has launched an investigation. Flight phase: ENR3 – Descent IFR Descent from cruise to Initial Approach Fix (IAF) or VFR pattern entry. Immediately after take-off at Malta Airport the pilots lost control and crashed. All five persons on board died.